Maintaining your waistline is an ongoing struggle in today’s society. This struggle increases when you factor in that losing and keeping weight off becomes more difficult as you age. The good news is that science is working hard to produce solutions to your weight loss and waistline dilemma. One such solution trending in popularity is Cryotherapy. Cryotherapy is making waves as a new approach to weight loss, as well as being considered a valid supplement to your exercise routine through its healing properties. Continue reading to learn more about this procedure including its history, use and benefits, potential side effects, and getting started with Cryotherapy. Starting as early as 2500 BCE, the Egyptians used cold as a method of treatment for injuries and inflammation. Over the centuries, cryotherapy has been used for dermatology and aesthetic treatments. However, there is a relatively new trend that has emerged for Cryotherapy. Cryotherapy is now being used as a weight loss solution. The concept behind this approach is to lower the body’s temperature just enough to kickstart your brain to raise your body’s metabolism, so it can warm your body back up. This process has been noted for its ability to increase the caloric burn within the body. Cryotherapy has also been used as an alternative to liposuction by freezing the fat cells to the point of atrophy causing them to eventually die off. The FDA has not approved whole body Cryotherapy as a weight loss solution at this time. This is not necessarily an indication of danger. The procedure is just too new and is still in its experimental stage. As the procedure grows in popularity—thanks in large part to celebrity endorsement, more research will become available lending assistance to the process of becoming FDA approved. As more research is done along with an increase in reported results, more benefits for this treatment will become known. For the most part, the level of benefit and use for this treatment lies within your goals for using Cryotherapy. Cryotherapy involves your body being subjected to subzero temperatures. Naturally, there are potential side effects though they are relatively minor and are temporary. Due to the drastic temperatures, body monitoring is imperative. Everything from your attention span to your heart rate needs to be monitored as your body may react negatively beyond what is expected. Finding an expert is as simple as visiting our online community. With AgeMD, valuable information detailing Cryotherapy as well as qualified practitioners for this treatment is at your fingertips. Keep in mind that your health and safety comes first with any treatment. That’s why our mission is to give consumers control over their health by getting them connected with practitioners that are licensed, verified experts focused on Cryotherapy. The cost of Cryotherapy depends on a number of factors. Where you go to get treatment, the number of treatments purchased, aesthetic goals, and how close you are to your goals all affect the final cost. In addition, insurance covers cryotherapy for medical purposes only. Purely aesthetic reasons are not covered at this time. However, the average cost for a basic professional cryotherapy treatment is approximately $50-$75 for one treatment. Most people do multiple treatments to achieve the best results. The increasing popularity of this treatment has inspired many providers to utilize package pricing. Find your nearest cryotherapy provider for pricing options. How many Cryotherapy weight loss treatments will I need? This treatment is designed to be a maintenance treatment. For best results, you will want to take advantage of multiple treatments over time. The results are not meant to last forever as the treatment is designed to temporarily boost your metabolism and assist in fat cell reduction. Patients of this procedure experience the best results when treating it as a supplement to a diet and exercise regimen. How long is the recovery time for Cryotherapy? 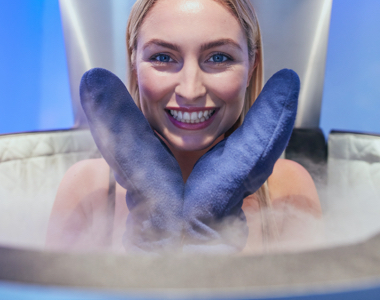 As long as you follow the appropriate safety procedures like wearing gloves and socks to protect your extremities, there is virtually no recovery time needed for cryotherapy. Cryotherapy has been used by athletes for training and recovery as well as people looking for an edge on their weight loss efforts, making it a top of the line procedure for results without recovery time. Keep in mind that there are still potential side effects. Some people may be extra sensitive to the side effects and may want to consider waiting before jumping back into every activity. Use your best judgment to determine the severity of any side effects experienced. How quickly will I see results from Cryotherapy? Results depend on your goals and how close you already are to realizing those goals. Due to the effects of the extreme cold, many patients notice a boost in energy levels immediately after treatment because of the rush of endorphins experienced. Remember, half of the results are rooted in boosting metabolism. The effects of a metabolic boost are best noticed over time and with multiple treatments. However, the other half of the procedure involves fat cell reduction. These results are usually noticed over the course of a couple weeks as the fat cells are eliminated from the body. How long will my Cryotherapy results last? The length of time for results vary greatly from person to person. Different goals and lifestyles affect the timeframe for lasting results. Also, results from cryotherapy can be broken up into three parts. The endorphin rush generally fades within a day. The metabolism boost usually lasts between 1-2 days depending on your own body chemistry, while the results stemming from the elimination of fat cells are the most lasting. Combined with a diet and exercise regimen you can expect the results from fat cell elimination to last indefinitely as long as you do not cause the remaining fat cells to grow larger. Are there other similar options to Cryotherapy? There are more specific treatments that use the science of freezing off fat like CoolScuplting. Where cryotherapy is a total body treatment, CoolSculpting is more about targeted areas. There are no other mainstream freezing technologies available as of yet due to cryolipolysis still being relatively new. 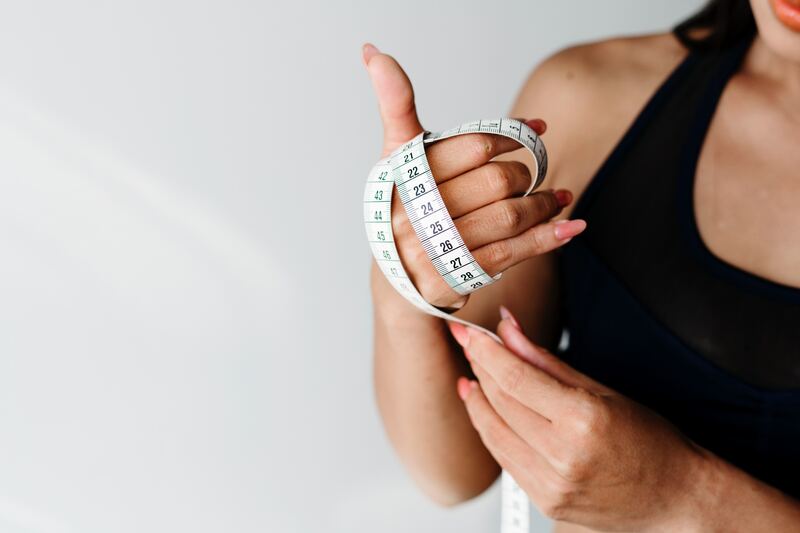 However, there are other options for managing weight loss that does not involve freezing methods ranging from appetite suppressants to laser lipo treatments such as Sculpsure that you can explore with your physician before making a final decision.